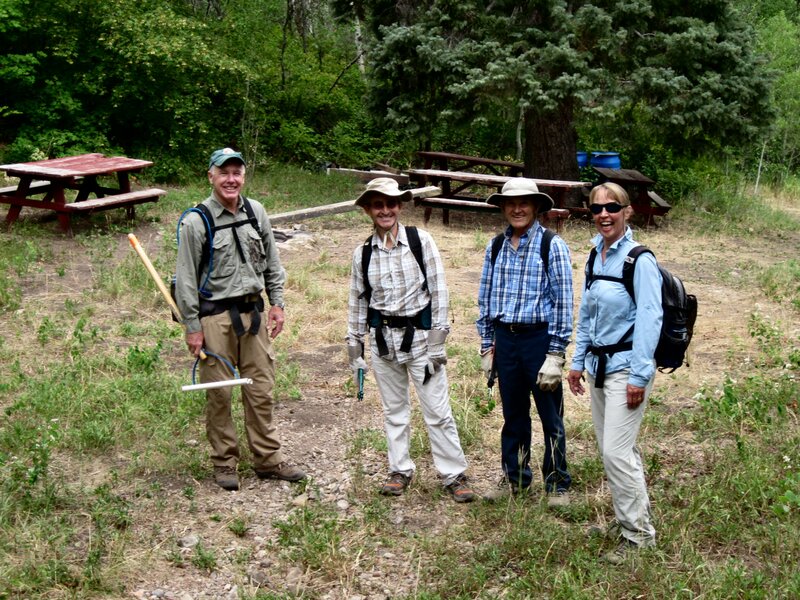 Five hikers joined the effort to improve conditions for the Card Canyon East trail on July 27, 2013. 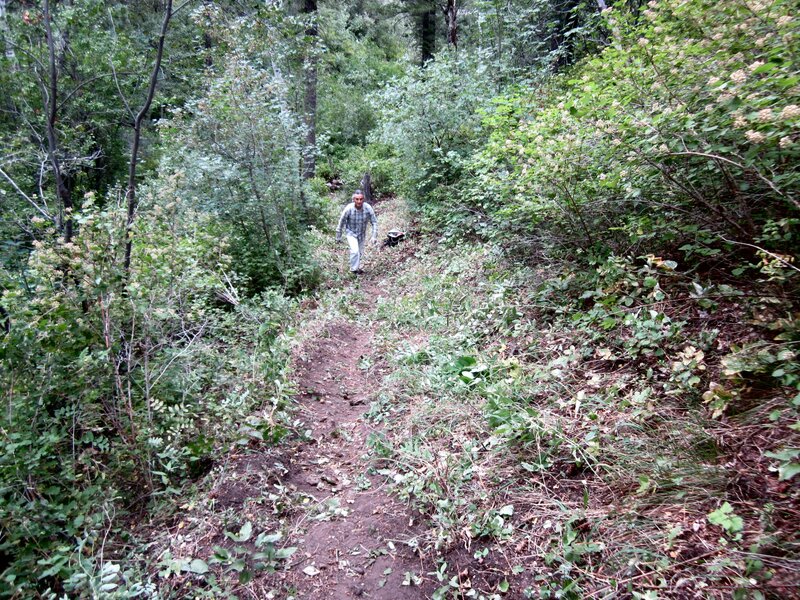 We hiked to our stopping point of June 29 and resumed clearing overgrown brush from the sides of the trail. The cloudy, cool weather couldn't have been more favorable for trail work!. The group stopped work at noon, ate lunch and hiked back down to our car at the gate in a light rain and returned to Logan about 1:30. 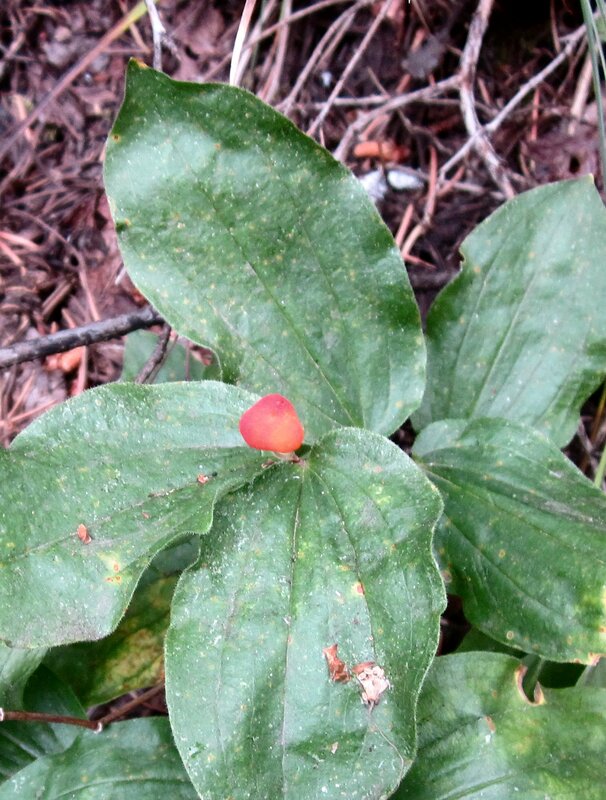 Most of the wildflowers we saw last month were no longer blooming, but the thimbleberries are starting to ripen and we saw red berries of fairy bells along the trail. The thick brush along this trail section slowed our progress. We cleared less than 1/10 mile of the trail today, but the brush seems to be thinner along the trail ahead. Many thanks for help from Jane, Dave W., Roddy, Denis and Gordon. A section of well "brushed" trail! Here is a satellite view of our route, from Google Maps. Click here to see it using Google Earth.